Travel writer Brendan Shanahan had high hopes when he booked what he was assured was a luxury cruise, but the reality was horribly different. Listen to the interview with Brendan in conversation with Richard Fidler. Listen to Brendan in conversation with ABC Adelaide’s Peter Goers, chatting about stories from Mr Snack and the Lady Water – out now. 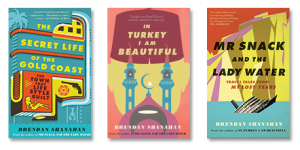 Brendan Shanahan’s immersive writing style made his previous books, In Turkey I Am Beautiful and The Secret Life of the Gold Coast, a hoot, and his new collection, Mr Snack and the Lady Water, is no exception. Part travel writer, part investigative journalist, he employs the time-honoured methods of gonzo journalism to write himself right into the thick of any story. 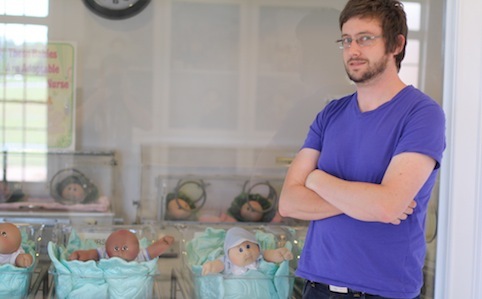 Brendan, it’s clear that you love throwing yourself in the deep end for the sake of a good story, do you have any personal limits or is anything fair game? I don’t have any particular “rules”, but I am not at all fearless. Indeed, I have a very heightened sense of my own mortality and an extremely low threshold for pain or even mild discomfort (for starters, I like to sleep a lot, which is not ideal for a travel writer). I have rarely done anything I know, consciously, to be dangerous. My willingness to put myself in harm’s way is limited only by my naivety. I tend to think people are, basically, pretty good, for instance, which means I’ll probably end up dismembered in some serial killer’s dungeon.